This is my new favorite way to have my students practice their sight words. See the directions below for play. To download the first set of I Have. Who Has? 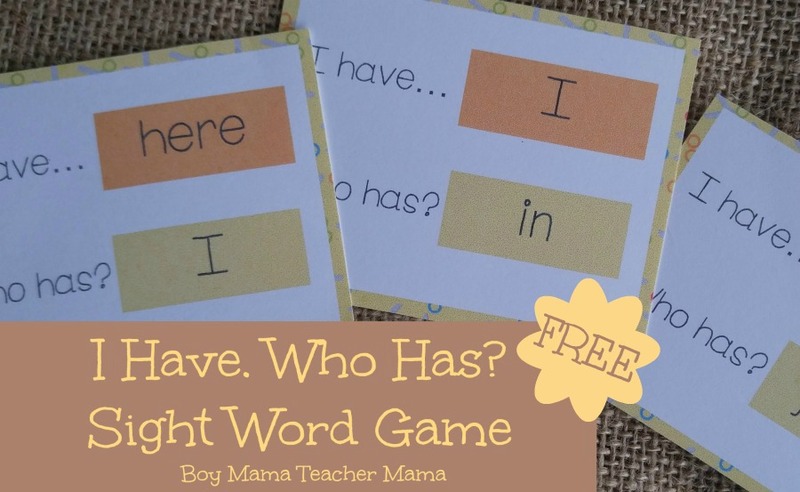 Sight Word Game (First 18 Pre-K Words), click HERE. Print templates. I use card stock for durability. Have students sit in a circle. Distribute cards to each student. If you have more cards than kids, allow some to have two cards. The game continues like this until the person who began the game, ends it. The complete set of Sight Words: I Have. Who Has? Game is available at the following link? 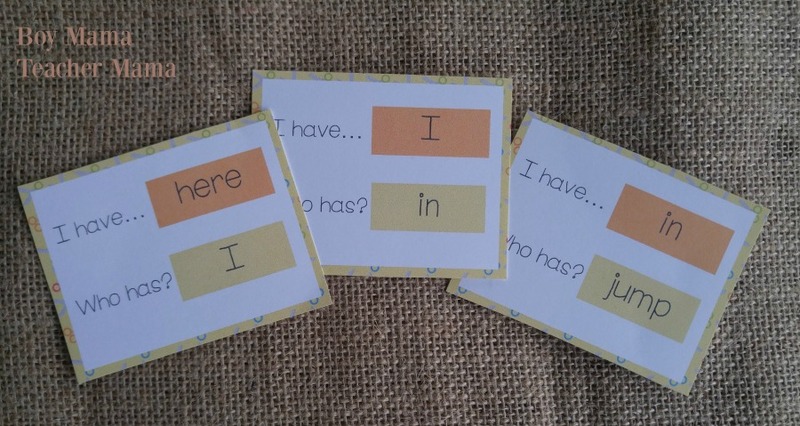 Sight Words: I Have. Who Has?